These two shells show a lovely symbiosis between shallow marine hermit crabs and encrusting scleractinian corals. I was first introduced to the concept of “pagurized” shells by my friends Paul Taylor and Sally Walker. They showed me the many ways by which shells that were carried around by hermit crabs display particular evidence of this specific use, from characteristic wear patterns to patterns of encrustation and boring. Further, there are some situations, such as that shown above, where encrusters and hermit crabs have developed a mutually beneficial relationship that may have even been depended upon by the crabs. What we have here are gastropod (snail) shells that have been completely encrusted by the scleractinian coral Septastrea marylandica (Conrad, 1841). 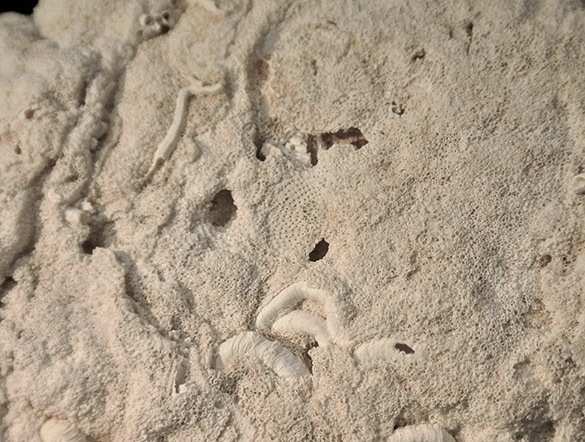 These are found in great abundance in the Pliocene Pinecrest Sand (foraminiferal zone N20) near Fruitville, Sarasota County, Florida. What is most cool is that the corals have completely encrusted these spiraling snail shells and more. If you look carefully at the aperture of the specimen on the left you see the lower surface of the coral with no snail shell. The coral had encrusted the whole shell and continued to grow from the original aperture outward, elongating the twisting tube farther than the snail ever grew. Why (and how) did it do this? The answer is that the shells were occupied by hermit crabs. The corals extended the aperture of the shell with the crab shuffling about in the opening. The crabs gained the advantage of a shell that essentially grew along with them, meaning they did not have to make the dangerous switch to a larger shell as often. The corals gained by being carried about into diverse microenvironments, extending their feeding possibilities. Nice arrangement, and elegant fossils to show it. 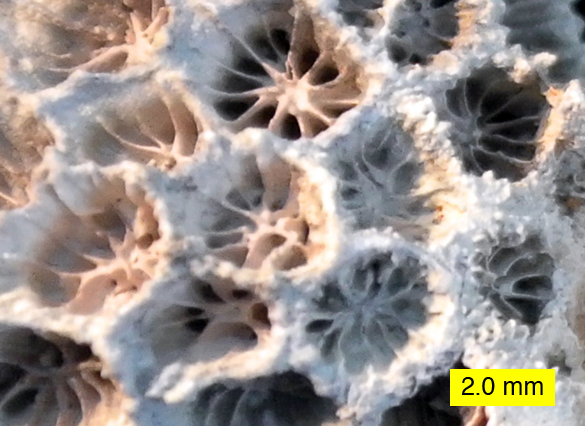 Septastrea marylandica (Conrad, 1841) is a scleractinian coral. We’ve seen this order before on this blog, but usually as a recrystallized version of the original aragonitic shell. In these specimens the aragonite is still preserved in excellent detail. 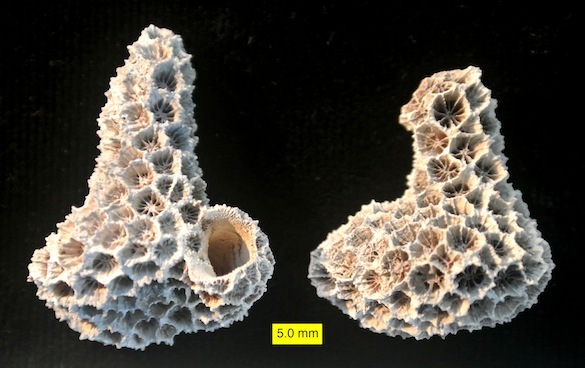 Each of the individual “cups” (corallites) above contained a single coral polyp in life. The radiating vertical walls are called septa and are related to the original soft parts of the polyps. The polyps extended tentacles from these corallites into the surrounding seawater. The tentacles were lined (as they are today) with stinging cells called nematocysts for subduing very small items of prey, such as larvae or tiny arthropods. 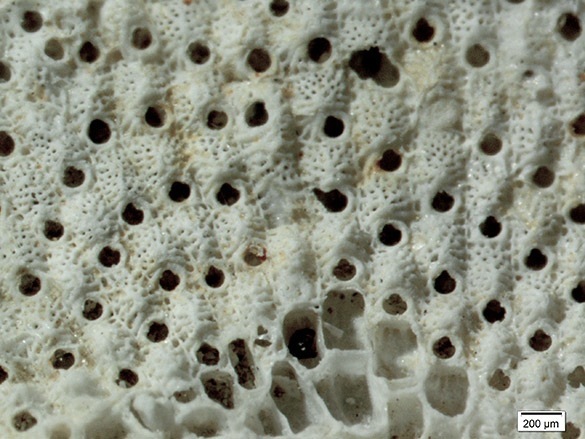 Corals thus represent an ecological group of sessile benthic epifaunal predators. Sessile means stationary, benthic means on the seafloor, and epifaunal means on the surface of the seafloor (that is, not in the substrate itself). 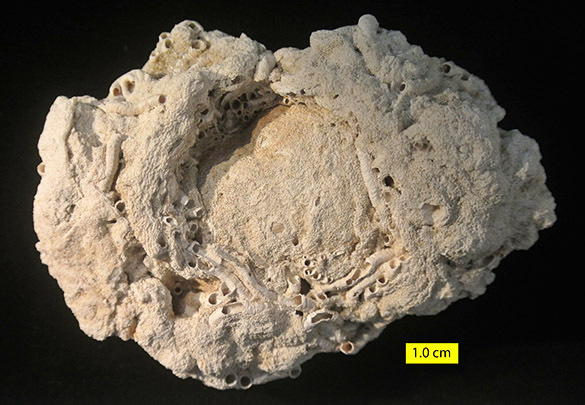 Curiously, then, these corals that encrusted shells with hermit crabs in them became in a sense vagrant rather than benthic because they were moved about on the seafloor. You don’t hear about vagrant benthic corals very often! Allmon, W.D. 1993. Age, environment and mode of deposition of the densely fossiliferous Pinecrest Sand (Pliocene of Florida): Implications for the role of biological productivity in shell bed formation. Palaios 8: 183-201. Darrell, J.G. and Taylor, P.D. 1989. 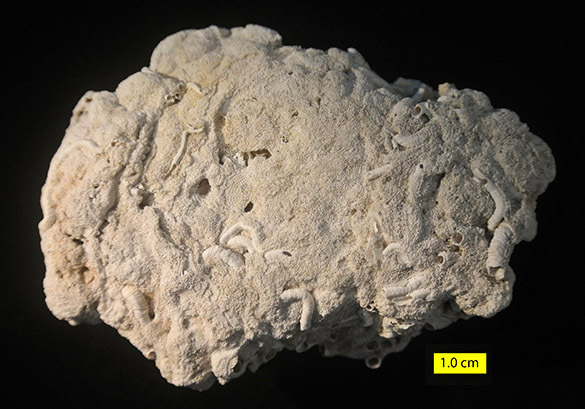 Scleractinian symbionts of hermit crabs in the Pliocene of Florida. Memoir of the Association of Australasian Palaeontologists 8:115–123. Laidre, M.E. 2012. Niche construction drives social dependence in hermit crabs. Current Biology 22: R861–R862. Petuch, E J. 1986. The Pliocene reefs of Miami: Their geomorphological significance in the evolution of the Atlantic coastal ridge, southeastern Florida, USA. Journal of Coastal Research 2: 391-408. Taylor, P.D. and Schindler, K.S. 2004. 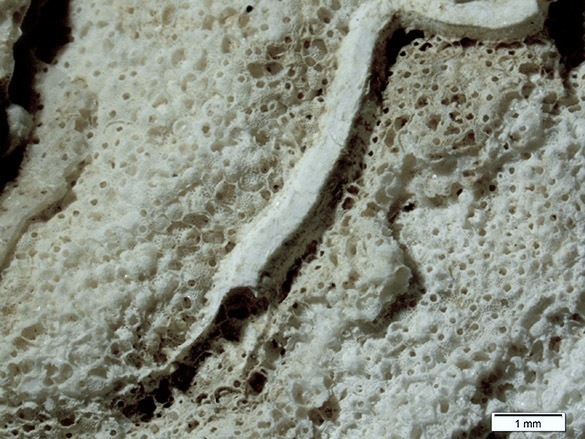 A new Eocene species of the hermit-crab symbiont Hippoporidra (Bryozoa) from the Ocala Limestone of Florida. Journal of Paleontology 78: 790-794. Walker, S.E. 1992. Criteria for recognizing marine hermit crabs in the fossil record using gastropod shells. Journal of Paleontology 66: 535-558.